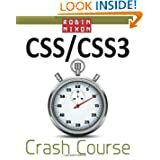 Want to amp up your web design skills for a better WordPress site? Even a little HTML and CSS knowledge can elevate your site above generic and give it some pizzazz. I know enough to have taken the 2012 theme and make it my own. 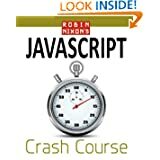 I would love to learn more, which is why I eagerly grabbed Robin Nixon’s Crash Course books. Four are being offered free for the Kindle on Amazon. These books are usually $9.99 each, so this is a huge freebie. It’s also a limited time offer, so don’t wait. I make no guarantees on something remaining free. Be sure to check the price before you hit the 1-Click button. 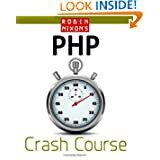 Whether you are a professional or amateur web developer you need all the HTML5 tools in your kit, and this book from the author of the best-selling Learning PHP, MySQL & JavaSript, is the fastest and easiest way there is to learn HTML5. 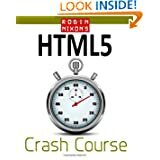 HTML5 is the future of HTML and all developers need to get up-to-speed with what it offers, including audio and video, without using a plug-in, and a canvas area with professional tools for creating paths, lines, curves, shapes, fills, gradients, patterns, text and more. Yeah, sorry. Gotta get ’em while they’re hot. I’ll post if they come up free again.